February 18 – March 17, 2018. 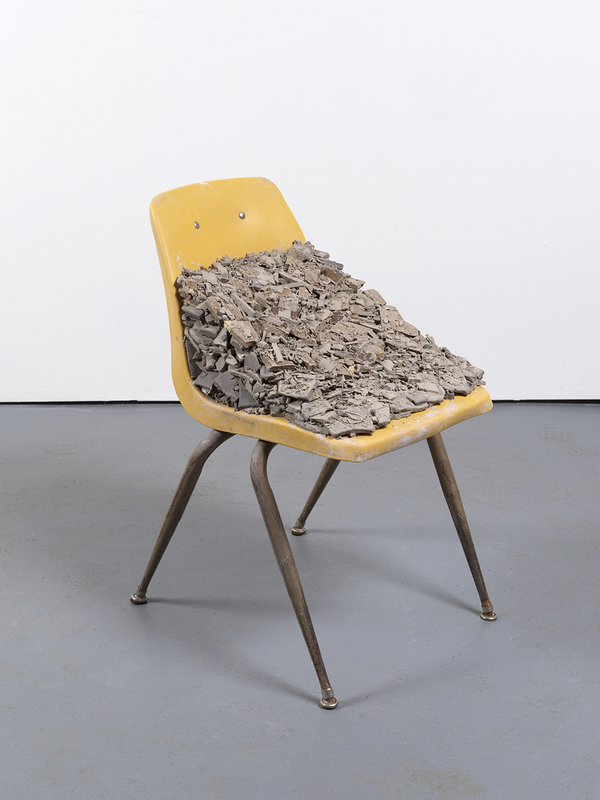 Sunday, February 18, 4:00 – 7:00 P.M.
Rubble Chair, 2018, plastic and steel chair, clay. Our daily newsfeeds stream images from the Middle East that overshadow their captions’ specific locales and events. To the American viewer, these images are nothing less (and nothing more) than images of destruction and devastation; the human dimension of these images is overt but largely unfelt in America. 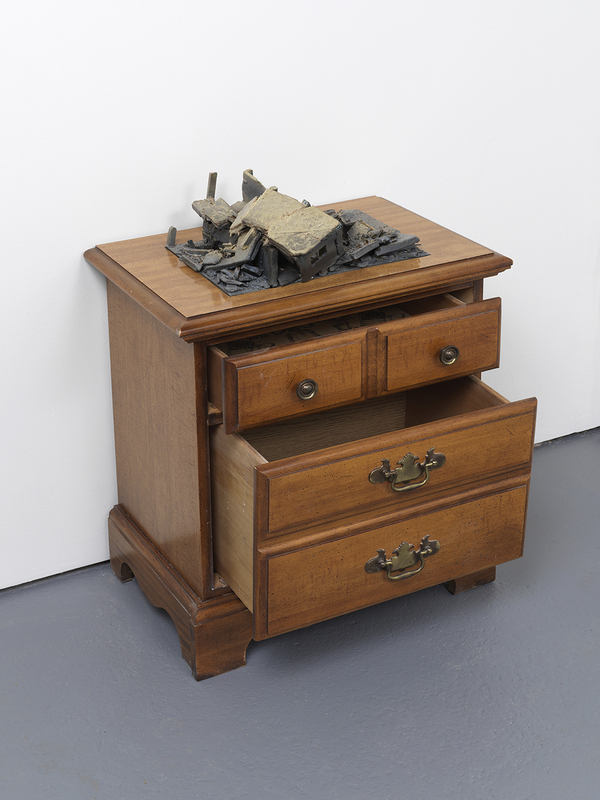 Thus, Alison Ruttan’s exhibition, An Unmaking, calls upon the earthy materiality of clay and the familiarity of household furniture to domesticate the carnage. 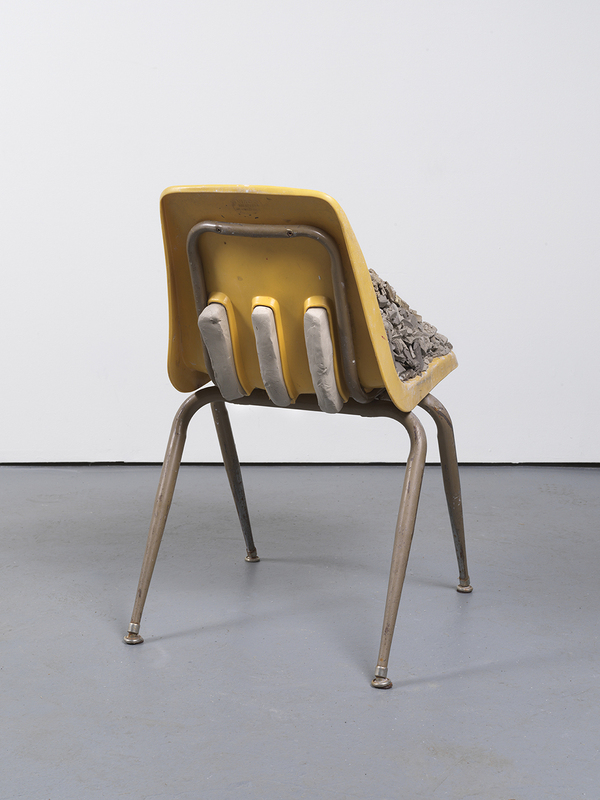 A chair becomes a pedestal that supports rubble, and building remnants rupture the planes of coffee tables, dressers, and other household furnishings. These works carry an intimate scale imbued with intricate details that command Ruttan’s viewer to come close, and in doing so, An Unmaking unfolds an allegory of American distance from the reckless dismantling of Syrian and Iraqi homes and communities. Alison Ruttan has exhibited work at numerous institutions, domestically and internationally, including: The Museum of Contemporary Photography, Chicago; Sweeney Art Gallery, University of California, Riverside; Monique Meloche Gallery, Chicago; Hyde Park Art Center, Chicago; Galerie Wit, Wageningen, Netherlands; Gallery TPW, Toronto; Rocket Gallery, London; Chicago Cultural Center; The Drawing Center, NY. She holds a BFA from the University of Michigan and an MFA from the School of the Art Institute of Chicago where she is Associate Professor in Contemporary Practices. 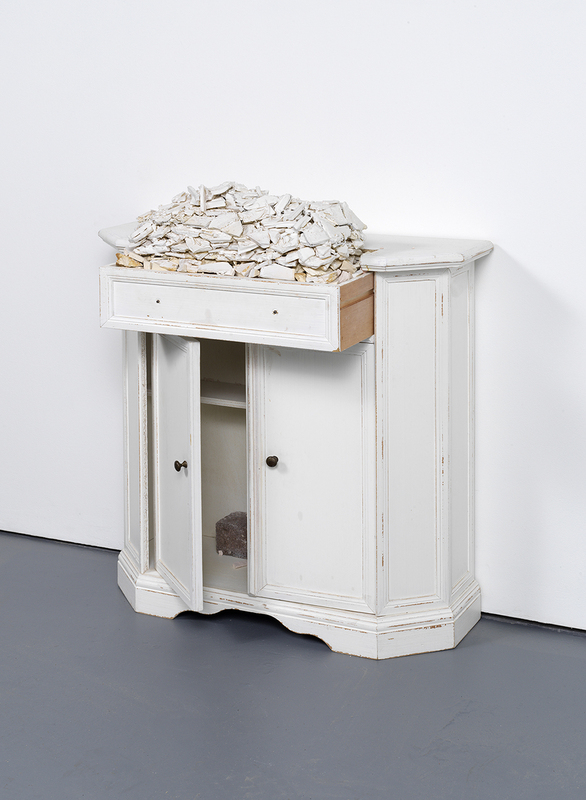 Pile, 2018, inset ceramic, console. 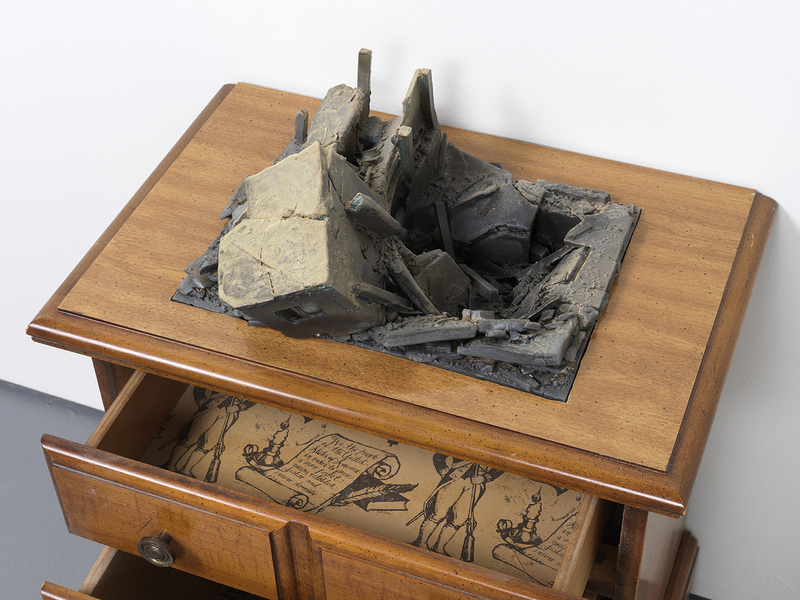 Bad Dream, 2018, inset ceramic, bedside table. Bad Dream (detail), 2018, inset ceramic, bedside table. 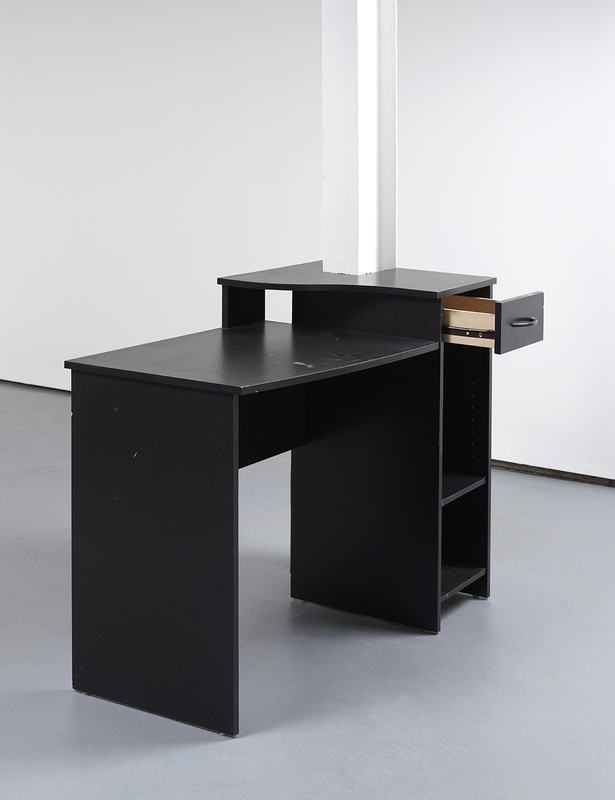 The Impossibility, 2018, Column, Desk, laser engraving. 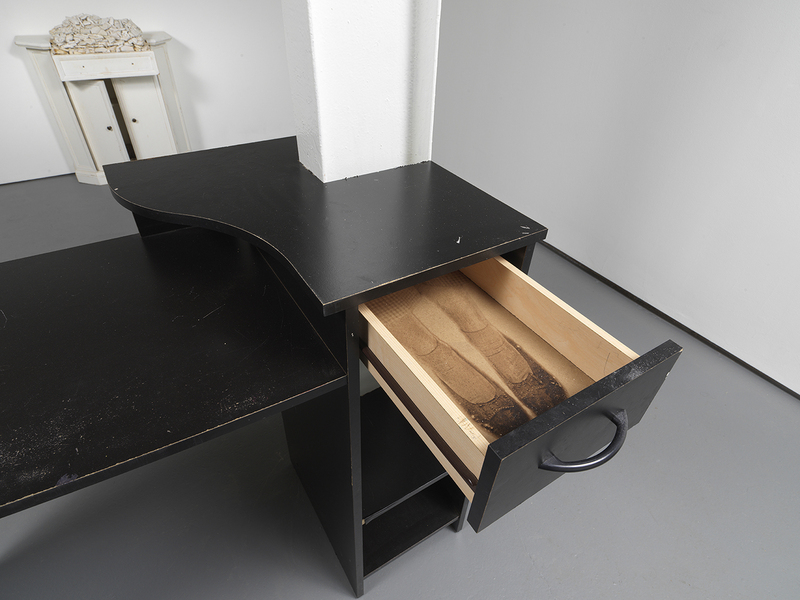 The Impossibility (detail), 2018, Column, Desk, laser engraving. 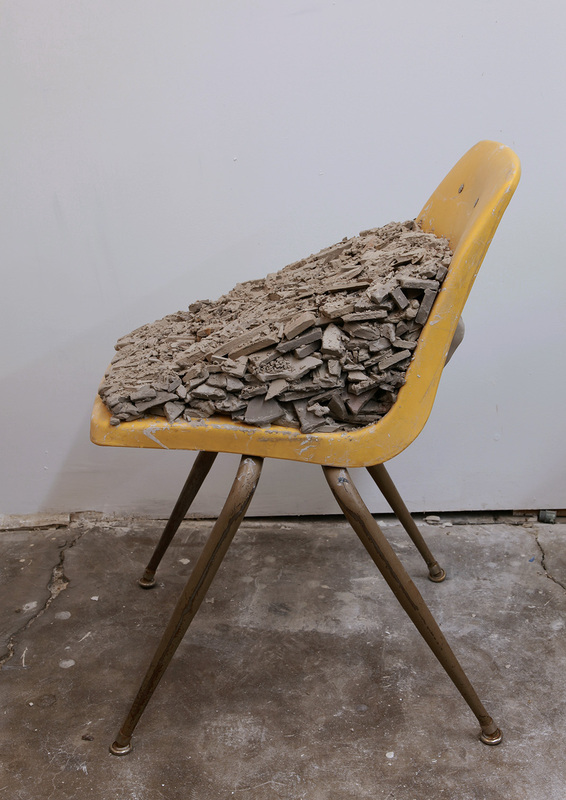 Rubble Chair, 2018, Raw clay and chair. 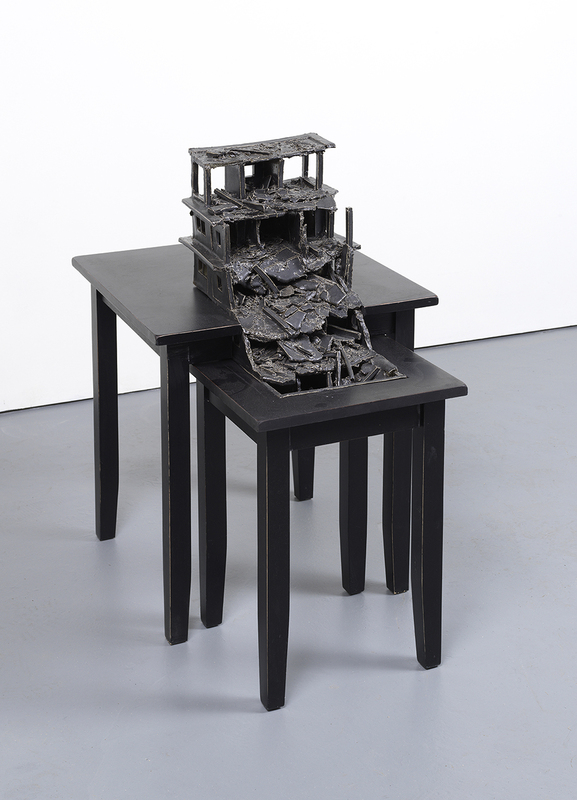 Rupture, 2018, inset ceramic, nested tables. 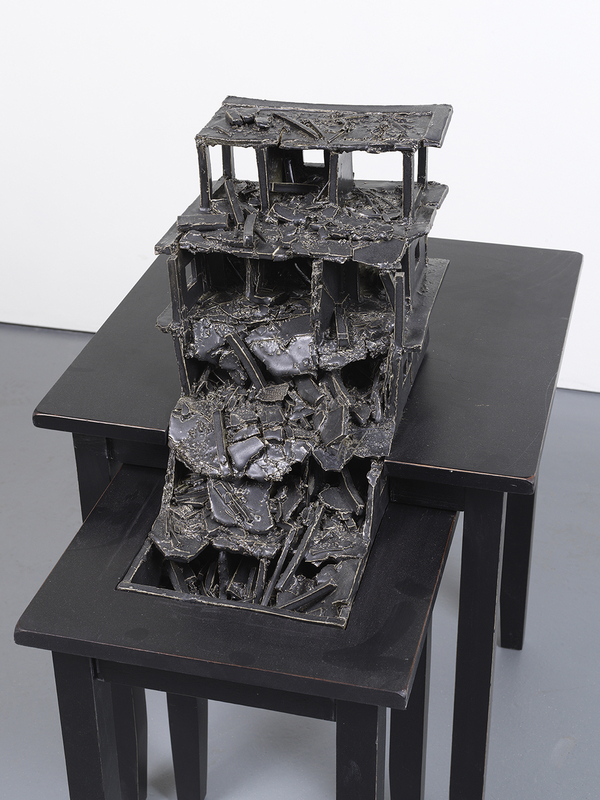 Rupture (detail), 2018, inset ceramic, nested tables.